No, not to this blog; in spite of my failure to update it for though all of August, it is staying right here. Nevertheless time, which keeps everything from happening all at once, does march on, and in the fifteen months or so since I launched it, Rocketpunk Manifesto has evolved along with my thinking about space, into something rather different from what I originally conceived. The term 'rocketpunk' was coined, by analogy to steampunk, to denote a style of retro-SF that evokes science fiction of the mid-20th century, especially the first hard SF, a la Clarke and Heinlein, the Willy Ley / Chesley Bonestall illustrations, and so forth. Since I started this blog, I have found myself more often than not using 'rocketpunk' to denote the original item, or the whole period in SF just prior to the space age, the 'rocketpunk era.' More to the point, however, I have started to rethink our actual future in space. Over the years I had become something of a space pessimist, at least as regards human spaceflight. It is expensive and likely to remain so for a considerable time to come. People involved in the very successful program of robotic interplanetary exploration have a legitimate complaint that human spaceflight is a budget eater, and in recent decades its tragedies have been more spectacular than its triumphs. Underlying this skepticism, however, was a vague sense that if we couldn't have all the Cool Stuff we expected in the rocketpunk era and the first decade of the space age, then the whole thing was an anticlimax and scarcely worth doing at all. This, on belated second thought, is a somewhat blinkered perspective. The value and potential of human space exploration does not and certainly should not hinge on whether it leads to a future that resembles stories that Heinlein wrote fifty or sixty years ago. That would be roughly comparable to saying that archeology is a wasted effort because it does not resemble Indiana Jones movies. So what might we expect from and in space in the midfuture? This is the period extending roughly from 2050 to 2200 - starting, that is, a technological and policy generation or two beyond the present, and extending about as far as we can extrapolate without getting lost in a speculative haze. Not by coincidence it is roughly the period in which much of the original rocketpunk was set. Heinlein was the great offender here, and perhaps no surprise, since he was only about a generation removed from the 'closing of the frontier' in the United States. Heinlein's Solar System was retro even for the 1950s era, with its habitable Venus and semi-habitable Mars - though in Farmer in the Sky he had Ganymede* being terraformed and settled by, well, farmers. But in the course of the 20th century the impulse toward homesteading has pretty much disappeared. Although immigration to the US is at a historic high, the immigrants no longer come to claim forty acres and a mule. They come to find work in an existing complex economy. Farming is just about the last reason for going into space. People will go into space to work; in time, if going there becomes cheap enough, they will go there on vacation. Neither calls for colonies as such. If a research station on or orbiting Mars (or wherever) grows large enough, a sort of college town might take form around it. (Though this has not happened yet in Antarctica.) Any such development is likely to be gradual and ambiguous. Some people might retire there, if they can clear the economic and administrative hurtles. Having and raising children off Earth is much more problematic. A space station or base is not a particularly good place to have kids running around - as Ken Burnside puts it, children are highly efficient entropy generators. Even more serious is the question of whether children raised off-Earth could later adapt to Earth gravity. 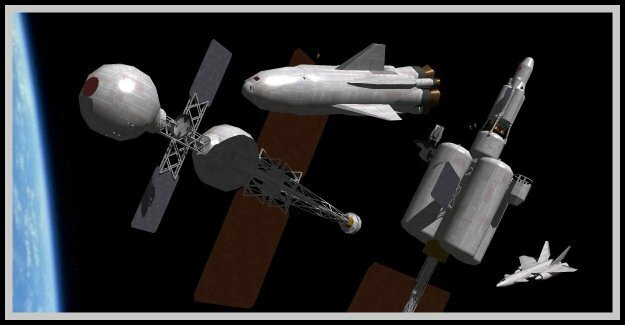 (Any space structure intended for really long-term habitation will need to be spun, but probably at a good deal less than 1 g.) It is fine to say that the children of thriving space communities might not even wish to visit Earth, but there's a bootstrapping problem, because the first space communities will be more nearly outposts. So, for a good long time to come, pregnant women will probably be bundled back to Earth. The time constraints of interplanetary travel mean that some children in the midfuture will likely be born in space, but the sooner they adapt to Earth gravity the better. Through the midfuture, then, there is likely to be nothing much resembling colonization, or any true permanent space population, any more than there is in Antarctica. If you were raised on rocketpunk-era SF, as I was, this thought is probably vaguely depressing, but there is no reason it should be. We have traveled the seas for thousands of years; the sea has played a central role in many cultures, and it has been a setting for adventure since before the Argo - all without permanent sea-living populations growing up, all without more than a relative handful of people being born at sea, and with no sea-living population ever developing. There is no essential reason why space should be any different, just because no habitable islands are in reach of foreseeable technology. * Ganymede lies within the intense Jovian radiation belts, making it difficult even to visit, and it also seems to be the least interesting of Jupiter's larger moons. The outer big moons, Callisto and especially Europa, now seem to have more of a future. One more way that the real Solar System differs from the old rocketpunk version.